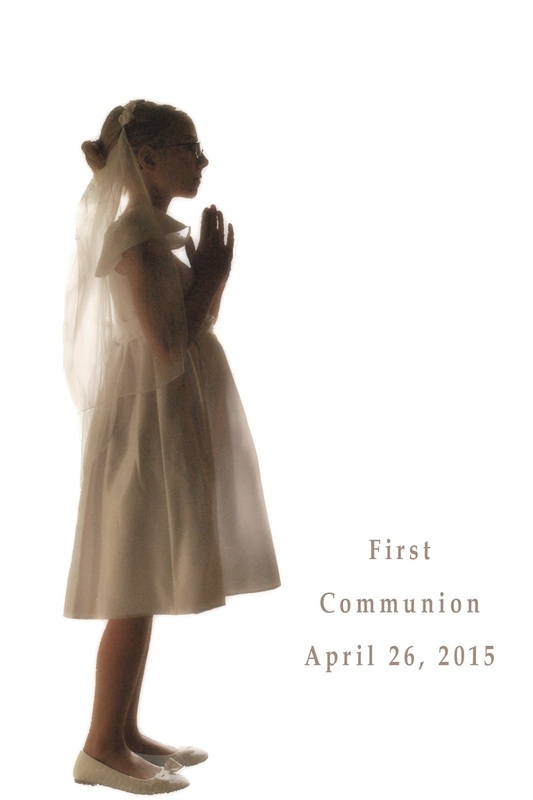 Yesterday - Jill Ruth & Co.
Our youngest has now received her first Holy Communion. :) It wasn't all smooth sailing. First of all, it was to be last Sunday with her class, but she was sick. :( We made some quick phone calls and cancelled the grand parents and siblings who were coming. So, it was just us and two of her sisters to witness it at Mass yesterday, but that was fine. The dress was a little tight, the church was a little cold, she was a bit nervous...but I was reminded how Jesus came to walk among us. To be one of us. He knows we are human. He knows how it is to be 8 and to be cold, uncomfortable, and nervous. And, what can I be...but, humbled and oh so grateful. Oh good for her, and she overcame all the awkward things. Lovely photo!